The Quandamooka People are a First Nation of over 2000 traditional owners from Moreton Bay, south east Queensland, Australia. “Quandamooka” is a word from the Jandai language used to describe Moreton Bay and the islands within it. Therefore, the Quandamooka People are the people of Moreton Bay. Quandamooka is the ancestral homeland of the Nunukul, Ngughi and Goenpul peoples, the sub-groups that make up the Quandamooka People. The Quandamooka People are the traditional owners of Minjerribah (North Stradbroke Island), who have owned and occupied the lands and waters of Moreton Bay since time immemorial. In fact, the Quandamooka People have over 20,000 years’ association with their Country, including Minjerribah. QYAC is the Prescribed Body Corporate (PBC), created in 2011 under the Native Title Act 1993, responsible for managing the native title rights and interests of the Quandamooka People, who currently have native title over 54,000 hectares of land and sea on and around Minjerribah (North Stradbroke Island). QYAC is also the joint manager, with the State Government, of the Naree Budjong Djara National Park, which is the largest piece of recreational infrastructure on Minjerribah. Fraser Coast Councillor, James Hansen, should fully and unreservedly apologise to Environment Minister, Leeanne Enoch, for ridiculing her claims to be Aboriginal, the Quandamooka Yoolooburrabee Aboriginal Corporation (QYAC) said today. He reportedly made the comments on fellow Fraser Coast councillor, David Lewis’, personal Facebook post about a recent meeting he had with Ms Enoch regarding the ex-HMAS Tobruk. QYAC CEO, Cameron Costello, said such ignorance from an elected official in this day and age is appalling. “To determine Leeanne’s Aboriginality by the perceived colour of her skin is offensive to her bloodline connection to Quandamooka Country, which runs back thousands of years. Exactly this type of slight was found to be unlawful racial discrimination in the Andrew Bolt case, and highly offensive to reasonable Aboriginal people. “Leeanne Enoch is a direct descendant of one of the 12 Apical Ancestor groups recognised by the Federal Court of Australia who comprise the Quandamooka People. Her family’s Aboriginal connection is indisputable, after seven extensive genealogy reports over 16 years of negotiations for the determination of our native title area. “QYAC stands with Leeanne as she seeks justice over this slur by Councillor Hansen. We call on him to immediately and unreservedly apologise to Ms Enoch and all First Nations people for his inappropriate and divisive comments. We also call on the Fraser Coast Council to provide extra cultural competency training for its personnel if Councillor Hansen’s comments are indicative of the understanding of Aboriginal issues amongst its officials. “QYAC notes that a number of otherwise law abiding people and organisations appear less sensitive to breaching laws relating to culture, native title and racial discrimination then they are to breaking speeding or stealing laws. What’s the difference, is it race? “The Quandamooka People beamed with pride in 2015 when Leeanne Enoch became the first female Aboriginal MP in the Queensland Parliament. Minister Enoch is an inspirational Quandamooka woman, and QYAC supports her 100 per cent in her actions to ensure people are not judged by the colour of their skin,” Mr Costello said. The Quandamooka Yoolooburrabee Aboriginal Corporation (QYAC) has appointed Cox Architects and Articulous as consultants for the development of the Whale (Yalingbilla) Interpretive Facility on North Stradbroke Island (Minjerribah). QYAC chief executive officer Cameron Costello said Cox, a world class firm, would investigate cultural and environmental appropriate designs with the location being the site of the former tennis court on the Headland. Articulous will conduct the initial phase of consultation with locals and interested parties from 26 November through to mid December with a concept design developed for further consultation in early 2019. “This is a significant step in delivering the vision of Mooloomba being a global whale conservation, research and education hub,” he said. “The proposed site is in line with existing Heritage Management Plans and the structure, which will have a minimal footprint and will be culturally sensitive, will showcase the skeleton of an adult humpback whale currently housed by the Queensland Muesum for the Traditional Owners. Mr Costello said as part of the development, consultation would be held with locals and everyone else who loves this significant area. There will be a number of ways to be engaged in the project and details will be available on the ETS and QYAC websites and Facebook pages in the coming days. “The Facility will reflect the natural beauty and cultural significance of the area,” he said. Training and Skills Development Minister and Acting Tourism Industry Development Minister Shannon Fentiman said the project would help to diversify the local economy. 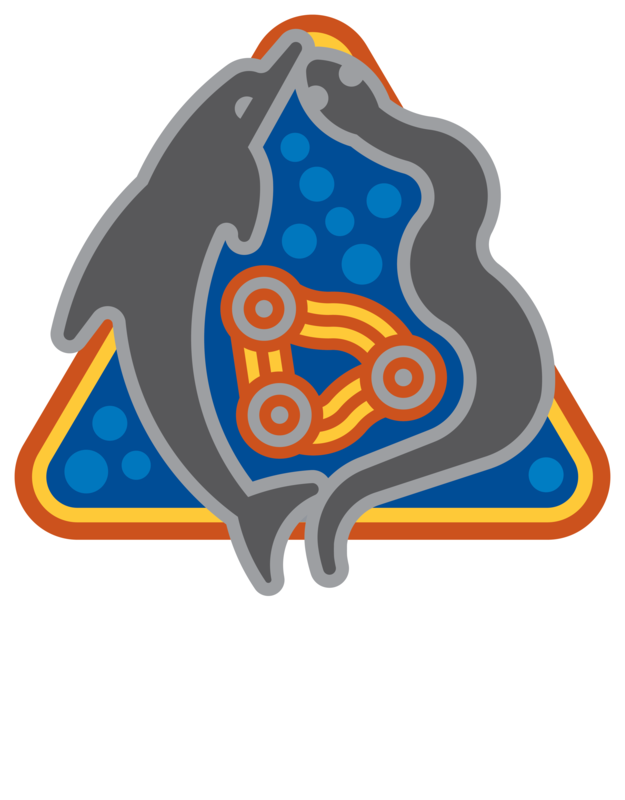 “We’re working closely with QYAC to deliver projects that will create new jobs for locals. That’s what the government’s North Stradbroke Island Economic Transition Strategy is all about,” she said. “Projects like the whale interpretive centre will help to lure more tourists to the island. And we know that more tourists mean more jobs.